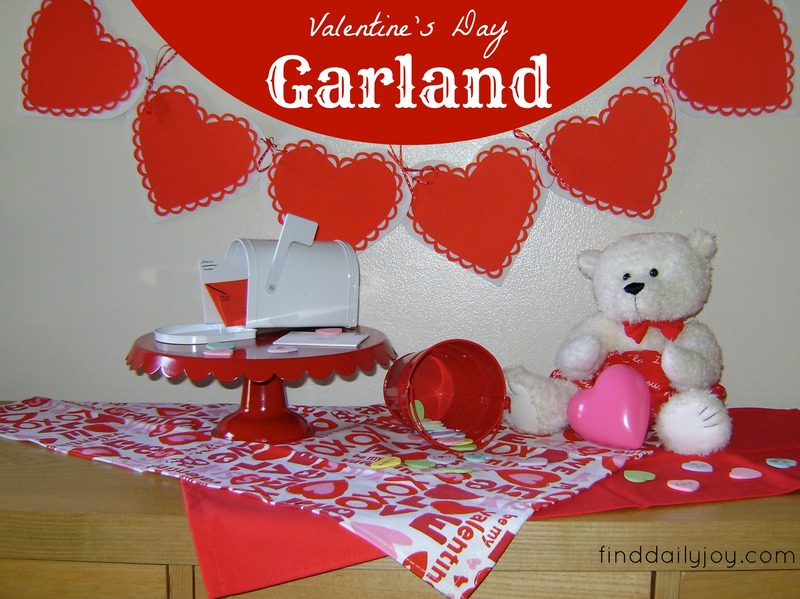 As I was decorating for Valentine’s day I kept thinking my display was looking a little flat. It need more oomph….more pizzaz. 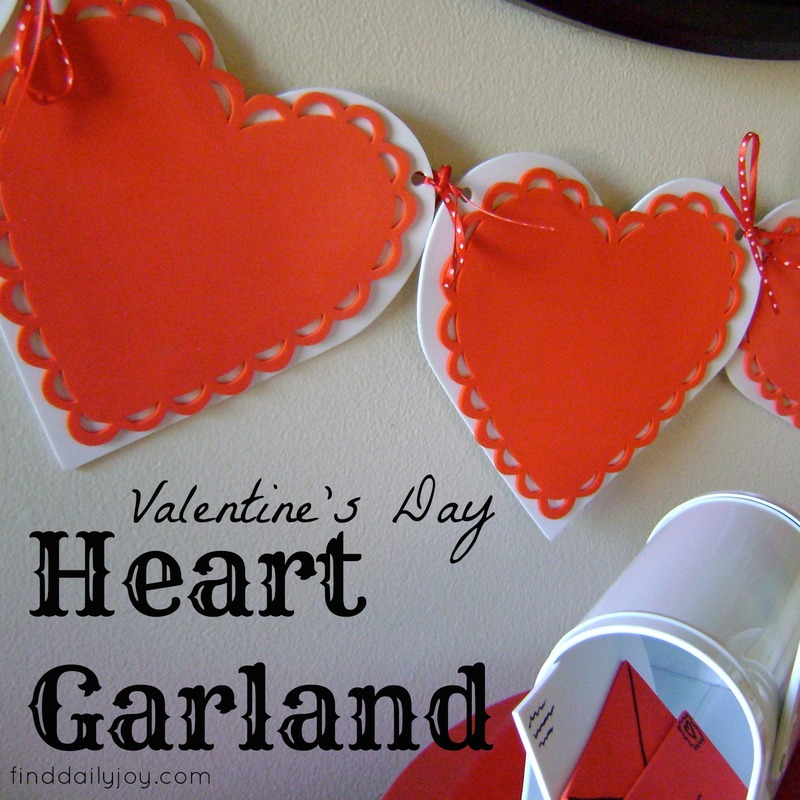 It needed something on the wall, so I whipped up this simple heart garland! 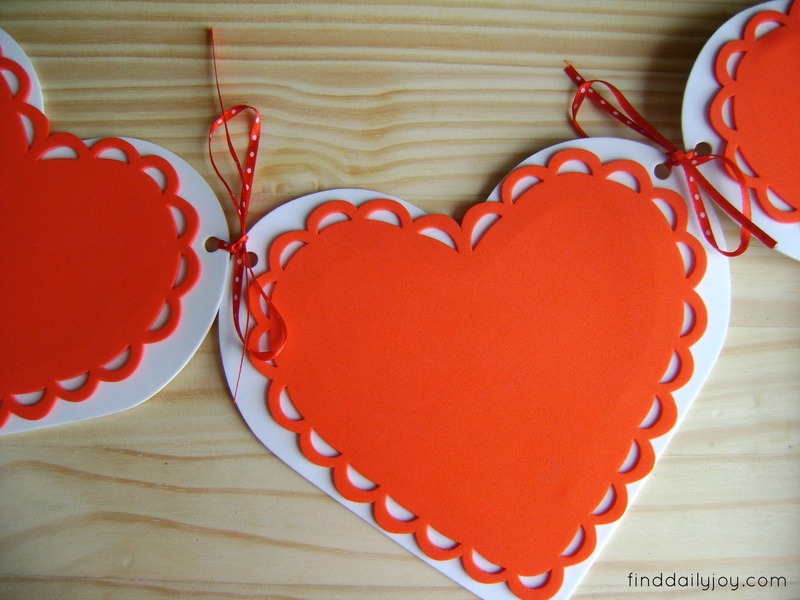 My red doily hearts are slightly smaller than the white hearts. 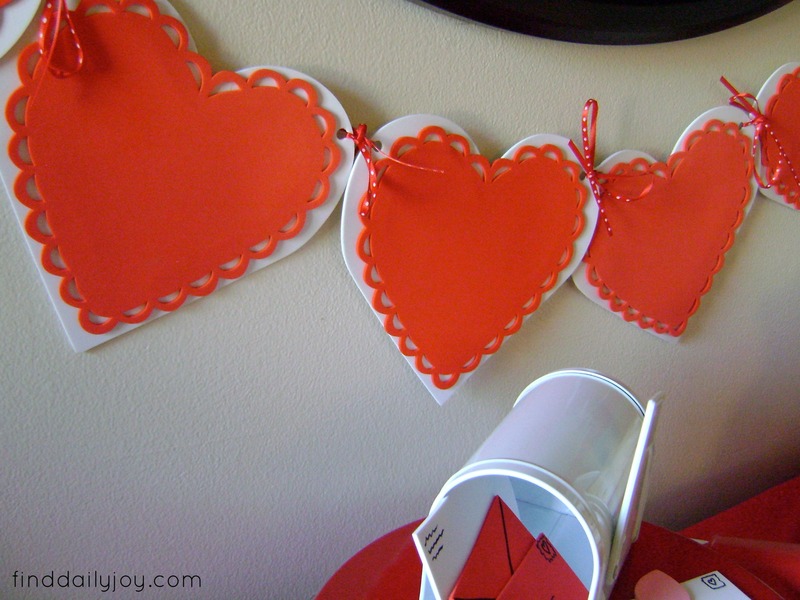 To create a nice layered look I hot glued the red hearts on top of the white hearts. 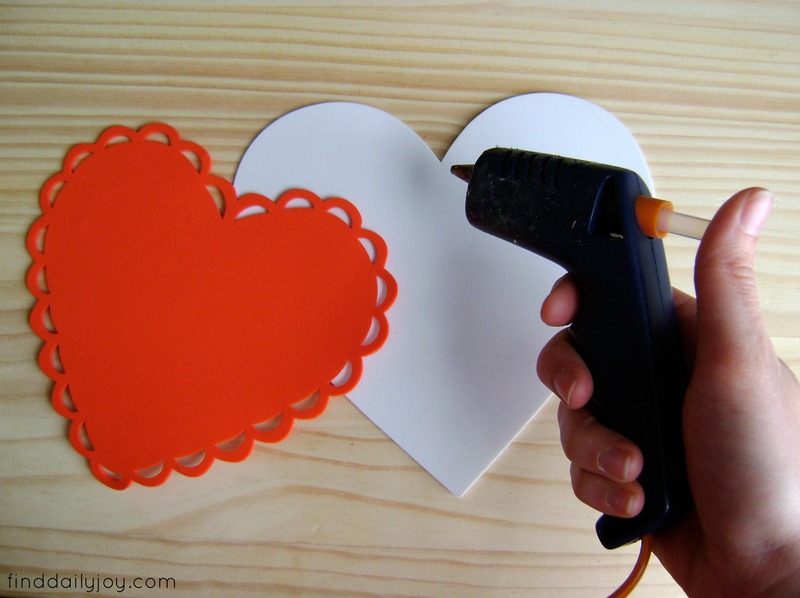 Then I punched two holes in the top outer edges of the hearts. 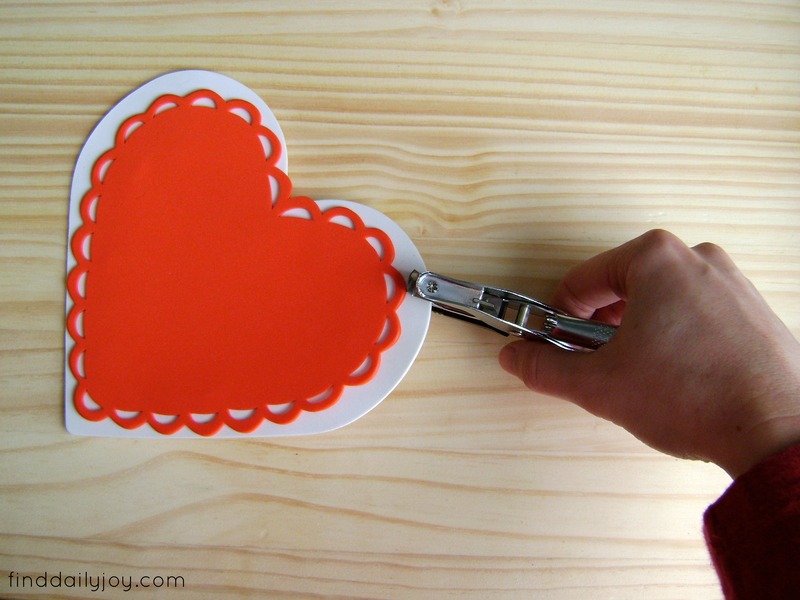 To connect the hearts; I tied them together with ribbon. There, now doesn’t that look nice? 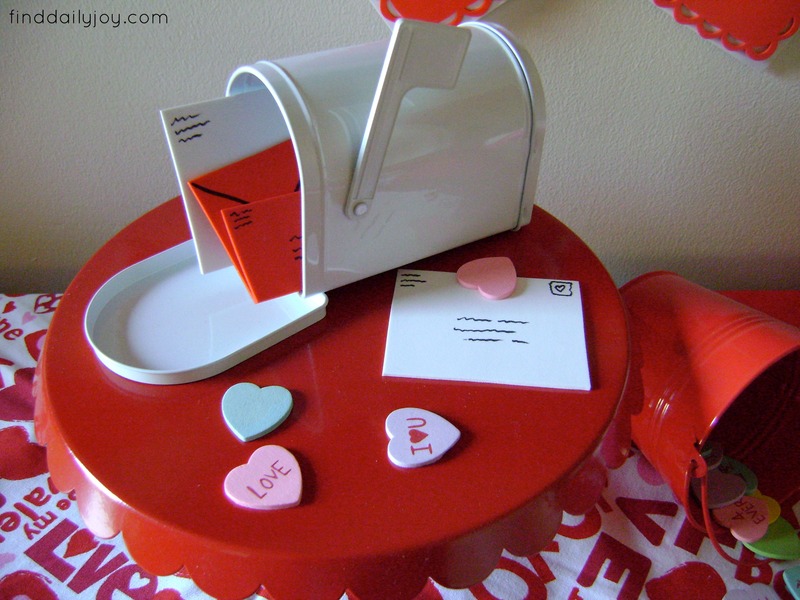 I even made little letters for my mailbox by cutting out rectangles from the extra foam hearts and drawing on them with a black sharpie. 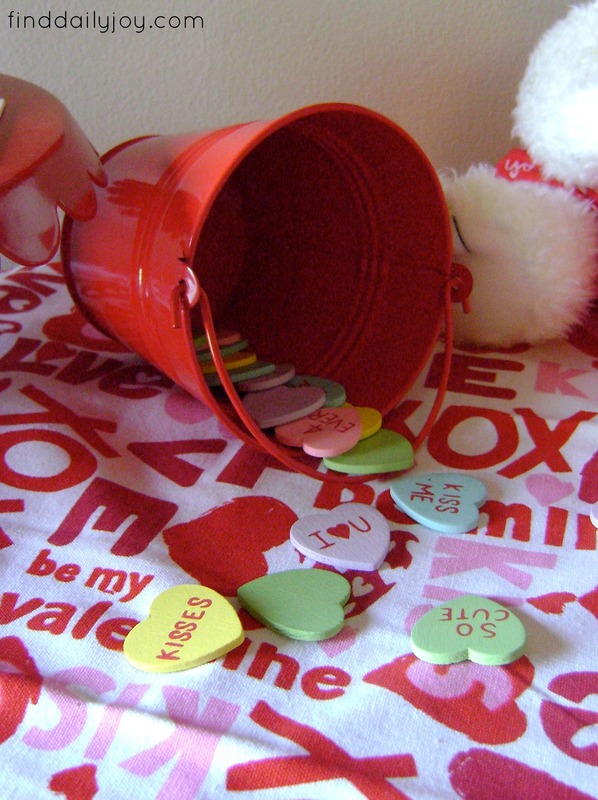 Oh, and those wooden conversation hearts bring back fun memories of elementary school Valentine’s Day parties! I’ll be linking up to some of these amazing site listed here.